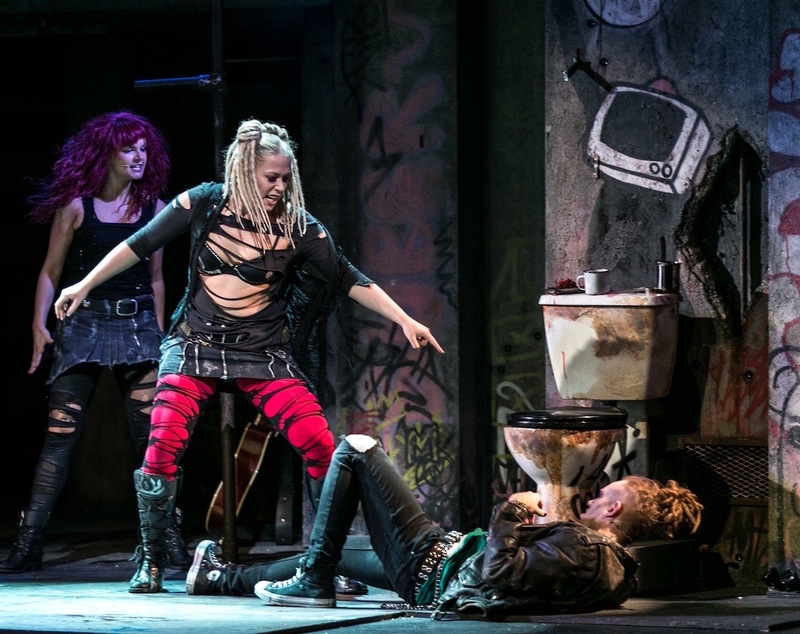 Dan from our Sunday Breakfast team, was very excited to reveal he would be interviewing American Idiot star Amelia Lily on Surrey Hills Radio on August 7th. First hitting our TV screens back in on the eighth series of ITV’s ‘The X Factor’ – she made it through to the live shows on a ‘Wild Card’ entry, and ended up finishing third under the guidance of Kelly Rowland. She then went on to release a handful of singles including ‘California’, ‘Shut Up (and give me whatever you’ve got)’ and ‘You Bring Me Joy’. Amelia has now turned her skills to musical theatre completing a UK tour of ‘Joseph’ as the Narrator, she is now back at The Arts Theatre in London’s West End to reprise her role of ‘Whatshername’ in the musical ‘American Idiot’ based on the music of punk rock band Green Day. She first took the role when the show made it’s debut in the West End back in 2015. The show has then completed a UK tour, before returning back to London for a second run until September 25th 2016. The show includes hit songs Boulevard of Broken Dreams, 21 Guns, Wake Me Up When September Ends, Holiday and the blockbuster title track American Idiot. Also included are several songs from Green Day’s 2009 release 21st Century Breakdown, and an unreleased love song, When It’s Time.